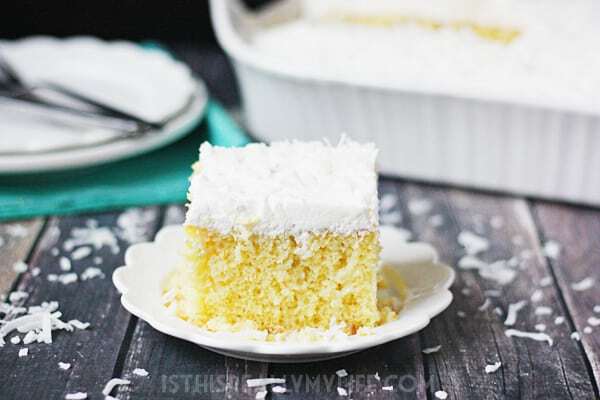 This coconut poke cake features a yellow cake infused with sweet coconut cream and topped with homemade whipped cream frosting and shredded coconut. 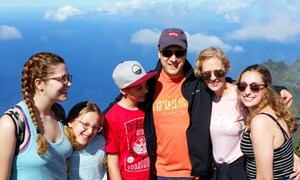 Post may include affiliate links. Our Relief Society annual Christmas progressive dinner is one of the highlights of the year for the sisters in our ward (ward = congregation). 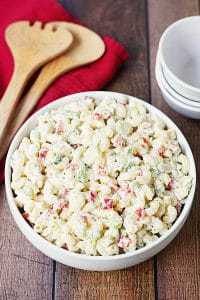 We submit recipes for an annual cookbook and then bring a sampling of our dish to the progressive dinner. 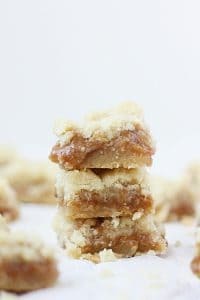 We then spend the evening taste-testing everyone’s recipes, from appetizers and drinks to main dishes and desserts, and head home later that night with a ton of yummy new recipes for the upcoming year. 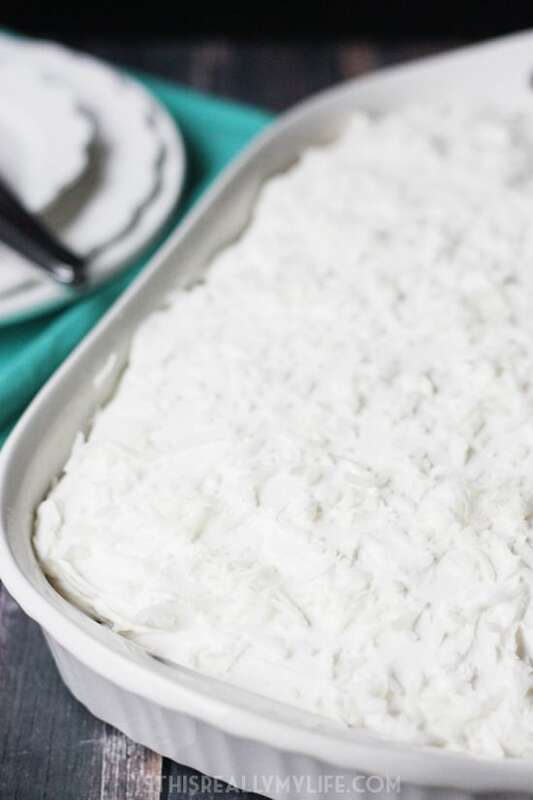 I love any recipe that allows me to keep everything on hand in case I need a last-minute dessert and this coconut poke cake is just such a recipe. Yellow cake mix with the fixings (eggs, water, oil), coconut cream, sweetened condensed milk, heavy whipping cream, powdered sugar and vanilla. That’s it! 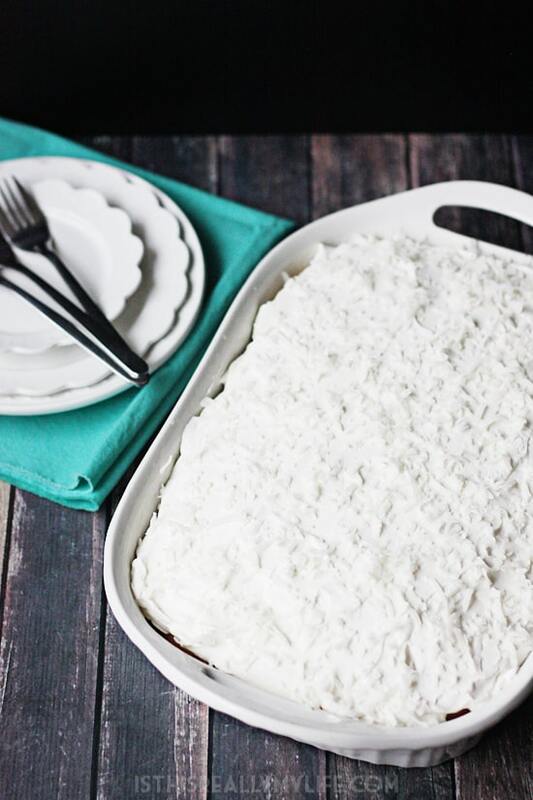 We used my favorite homemade whipped cream from Nathan’s favorite key lime pie and it was absolutely perfect for this coconut poke cake. 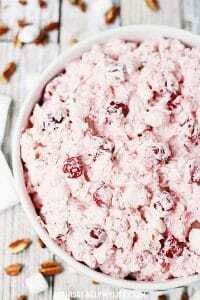 Plus there was just enough left over for everyone to eat a giant spoonful of the whipped goodness. I did learn it works best to use a larger bamboo skewer to poke the holes rather than a fork. 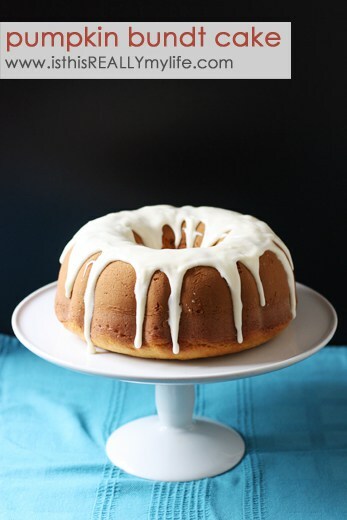 If your poked holes are too small, the sauce will run to the sides of the pan and then your cake will be extra soaked around the edges while the center will be seriously lacking in creamy coconut goodness. 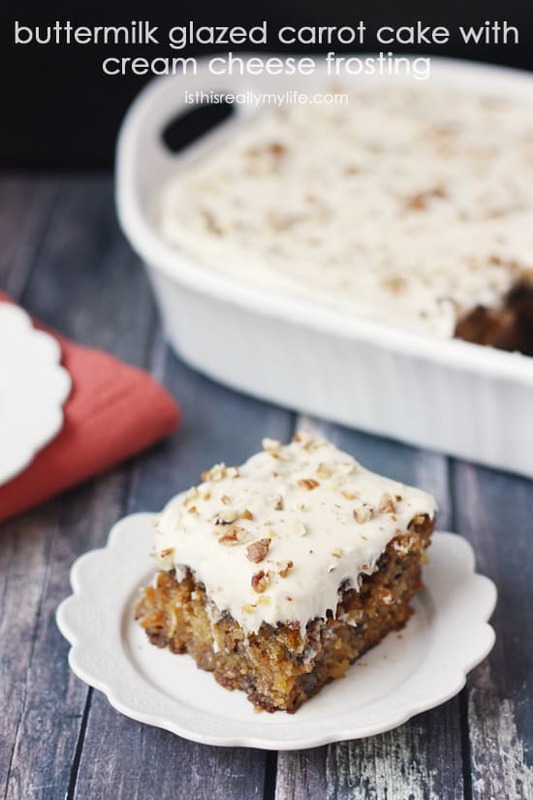 Printable recipe for coconut poke cake below. Enjoy! 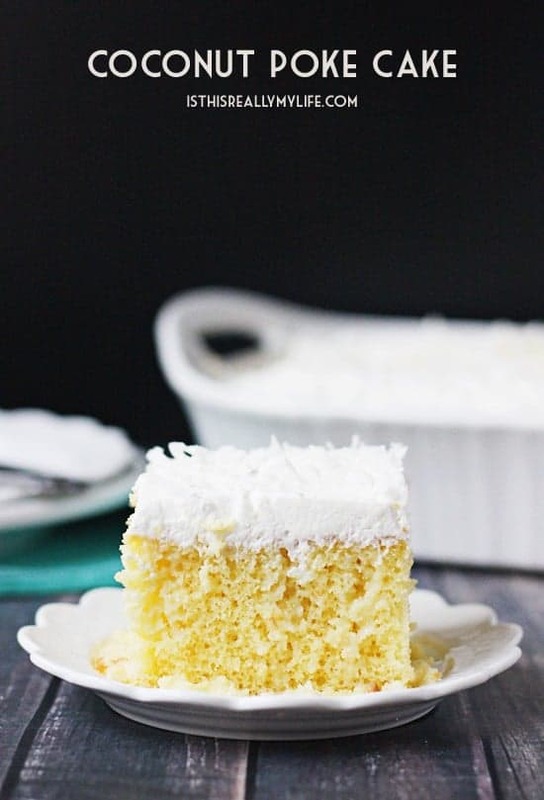 This coconut poke cake features sweet coconut cream sauce poured over a warm yellow cake. 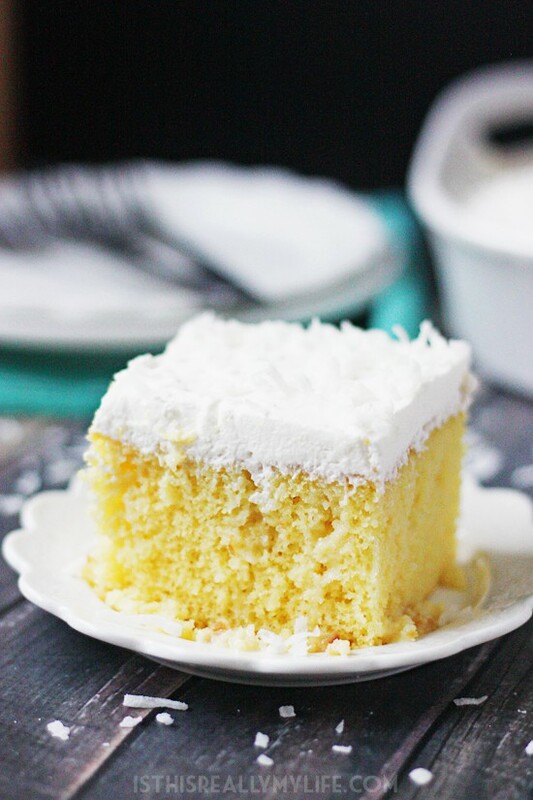 Once cooled, the cake is topped with homemade whipped cream and shredded coconut. Makes one 9x13-inch pan. 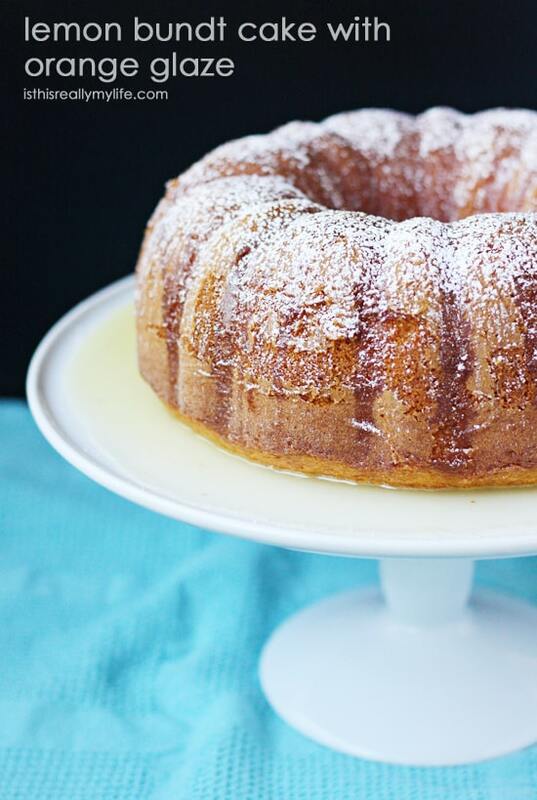 Bake cake according to package directions (or bake your favorite homemade yellow cake). Whisk coconut cream and condensed milk together during last few minutes of baking. When cake is done and still warm, poke holes all over the baked cake using a fork or bamboo skewer. 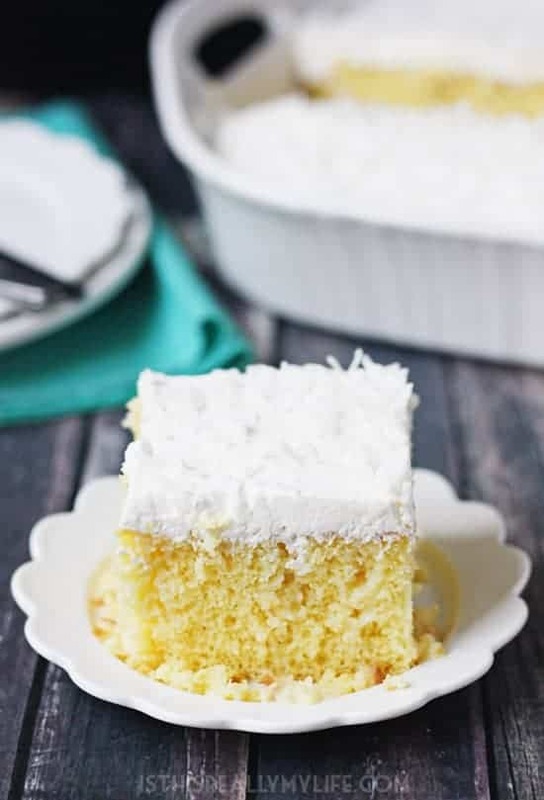 Pour coconut mixture over cake. Let cool completely before frosting with whipped cream. Using chilled beaters and a chilled small mixing bowl, beat cream until it begins to thicken. Add confectioners’ sugar and vanilla; beat until medium peaks form. 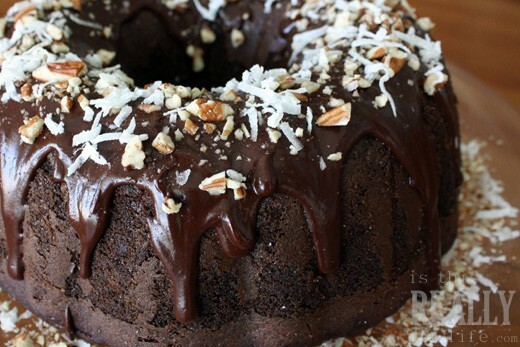 Frost cooled cake and top with shredded coconut. Store cake in refrigerator until ready to serve. Refrigerate leftovers. 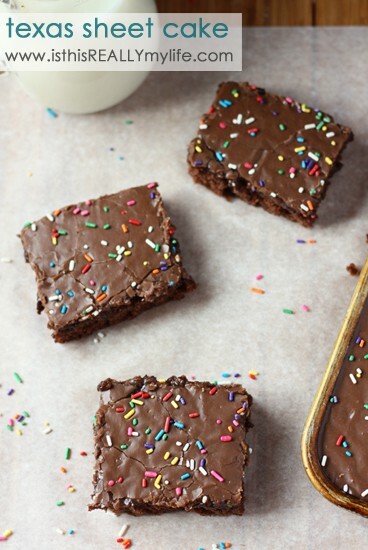 Here are a few more cake recipes you might enjoy baking during the holidays! 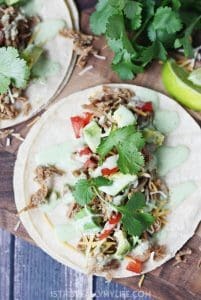 If you’re looking for more yummy recipes, head over and check out my best of Is This Really My Life Pinterest board. Feel free to “like” is this REALLY my life? on Facebook. It won’t always earn you an extra entry in a giveaway but it will give you warm fuzzies. Don’t forget to sign up for free is this REALLY my life? updates via RSS or email so you don’t miss a single awesome post.